Do you ever have those moments where you reveal something about yourself to someone and they’re completely taken aback? It happens to me all the time. For example, the other day I was chatting to a friend and casually mentioned I recently attended Future music festival in Brisbane. Her jaw basically hit the ground. She could not comprehend that ‘someone like Dylan’ would attend a music festival. These moments are balanced with things that are completely expected. An example of this is me making a lame pun in the middle of a conversation, causing everyone around me to roll their eyes and groan. Another example of this happened yesterday, when the Canberra Raiders fired their fullback, Josh Dugan, for breaching the club’s alcohol policy. 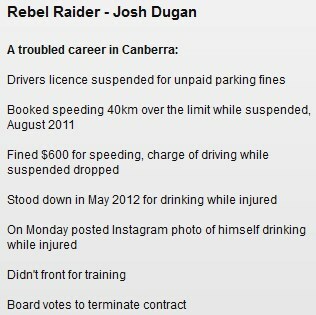 Dugan is injured and the Raiders’ policy is that, if you’re injured you don’t drink alcohol. Well, in a moment of massive intelligence, Josh posted a photo of himself and a teammate sitting on a roof drinking a beer. 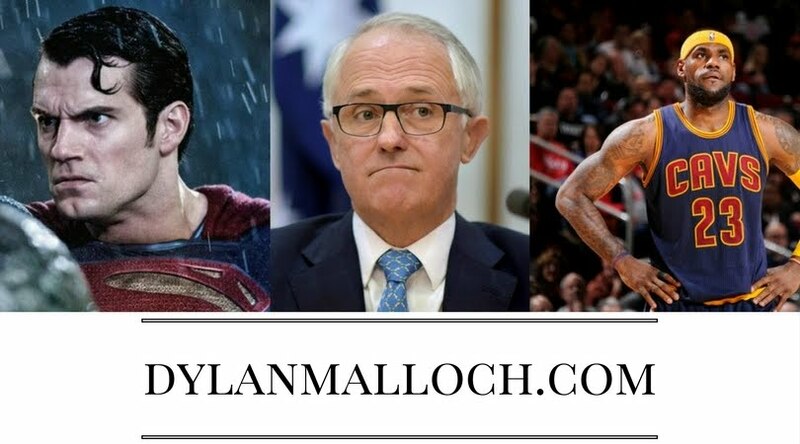 Yet, in a hilariously accurate reflection of Rugby League, reports from the ABC revealed that other clubs, namely Brisbane, Penrith and Gold Coast, have already been linked as to wanting to sign Dugan. Can you think of any other profession in the entire universe that this happens? Let’s compare it to IT. Let’s say you have a star programmer who only turns up to work occasionally and is causing PR issues for your company because they’re getting drunk in public all the time. You’re a CEO so you fire him. Is it possible that another firm would hear this IT guy has been fired and WITHIN THE HOUR (yes caps lock, I was feeling it) is being linked to wanting to hire him? The answer is: no chance. Surely this is the best example of a broken culture. Wanting to win at all costs, even if it means signing someone with a blatant disregard for respect and authority. In a related story, Ben Barba has been rushed out of rehab and back to the Bulldogs after they lost their opening game of the season. Coincedince? All this said, kudos to the Raiders who decided they needed to draw a line in the sand – they will tolerate these indiscretions and cultural disruptions no longer. A journalist and I were discussing this yesterday and he reckons the best example of what the Raiders should try and emulate is the Sydney Swans. The Swans emphasised creating a strong culture over anything else and it bore fruit quickly – a 2012 championship. If the Raiders can stand apart from the pervading League culture of tolerating dodgy behaviour to win at all costs, and try and establish a positive team culture, success could well lie down the track. And the Panthers and Broncos can continue the Dugan merry-go-round.